This series of activities is designed to show students how a large scale planetary process, the transport of heat over the surface of the Earth, operates and has operated over time. 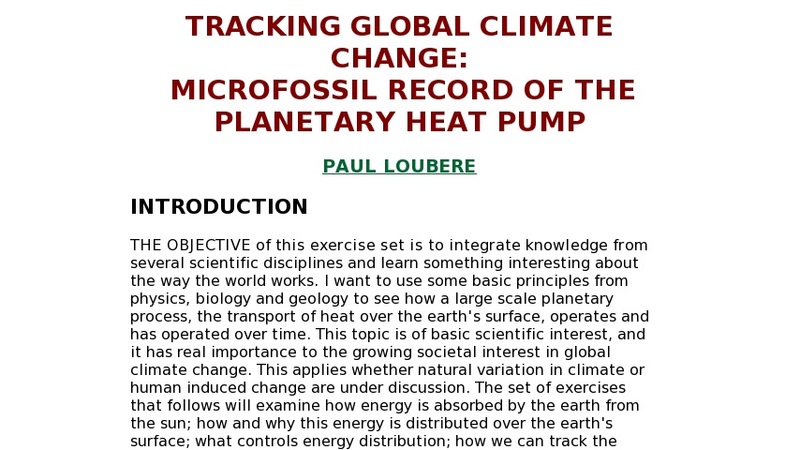 The activities include how energy is absorbed by the Earth from the Sun, how and why this energy is distributed over the earth's surface, what controls energy distribution, how we can track the energy distributing process using the oceanic microfossil record, and what that record shows us about variation of heat distribution with time. This topic is of basic scientific interest and it has real importance to the growing societal interest in global climate change.